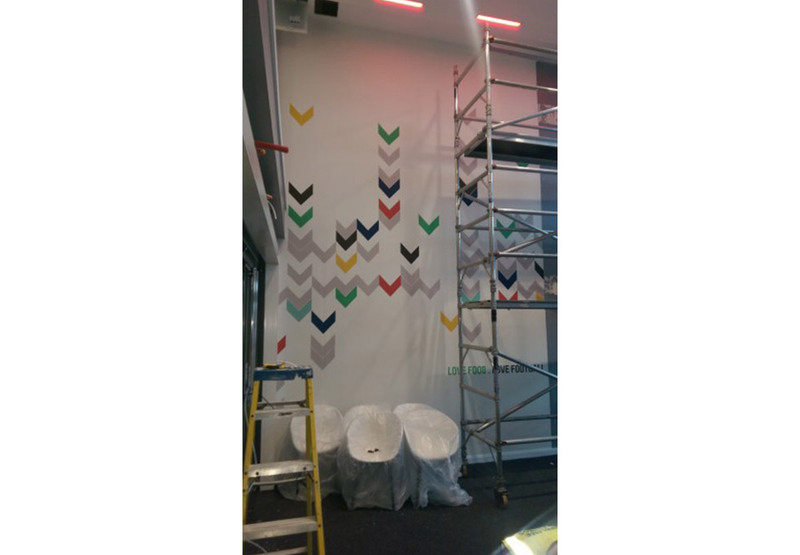 As a professional commercial painting and decorating contractor, we consistently deliver great results, on time and to budget. 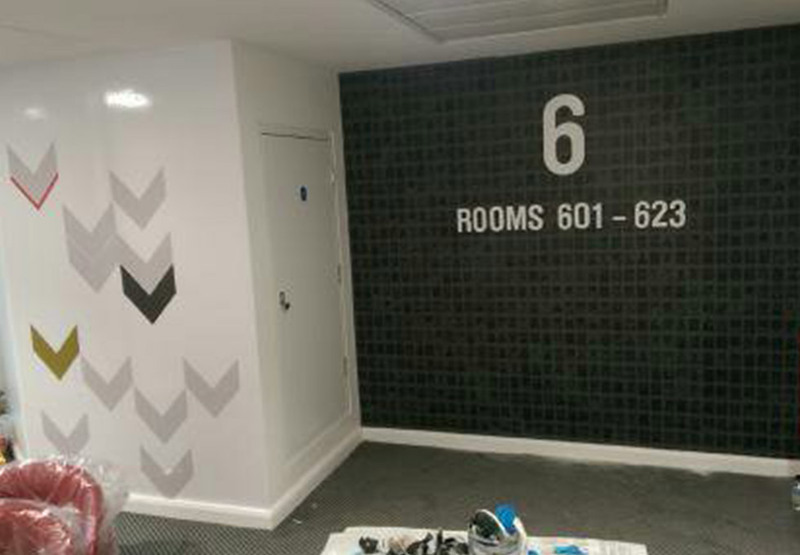 When a extensive redecoration project was required, the team at Hotel Football at Old Trafford knew exactly who to call – our dedicated, hard working contractor team at SD Painting Contractors. 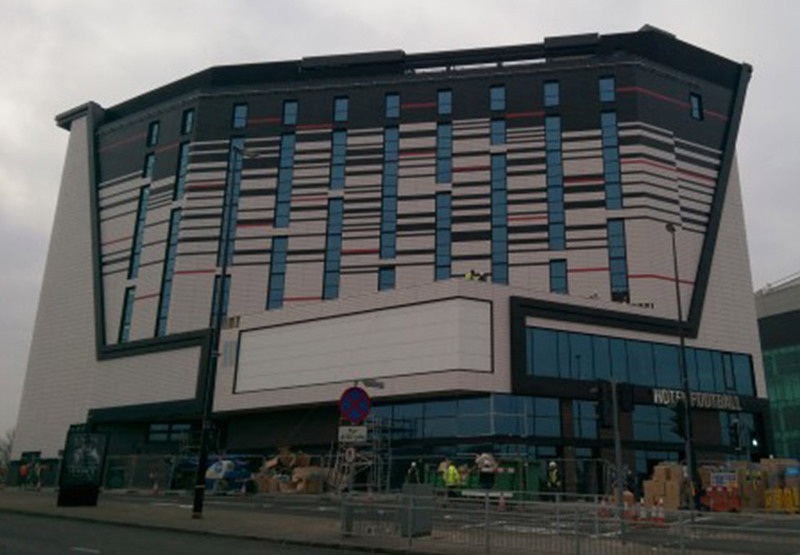 Hotel Football is the football fans’ dream building. Located in Old Trafford close to the football ground, the hotel offers the opportunity to leave and breathe the game. With 94 bedrooms each decorated with bespoke wallpaper and communal areas, hallways and corridors, in innovative and memorable designs, the hotel needed to be decorated to exceptionally high standards, and we were the contractors to deliver! During July and August a team of 8 men we on site for a total of 12 weeks. 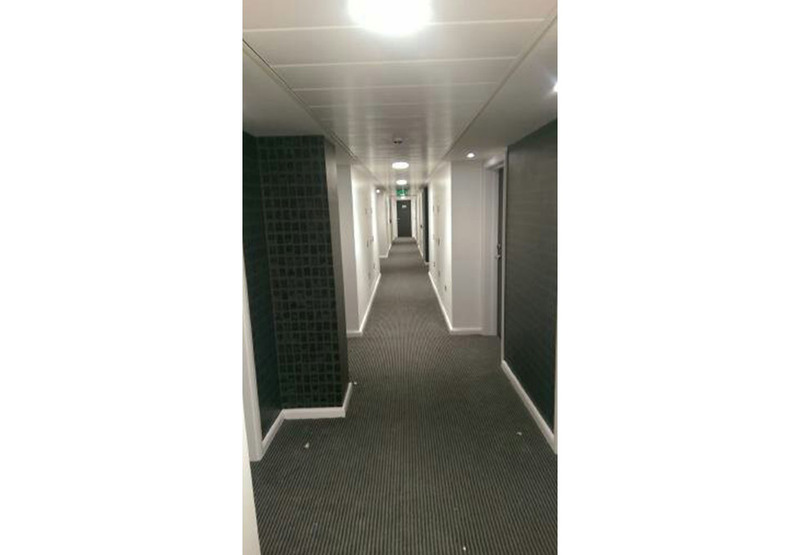 The team undertook an extensive refurbishment project which delivered on time and on budget. 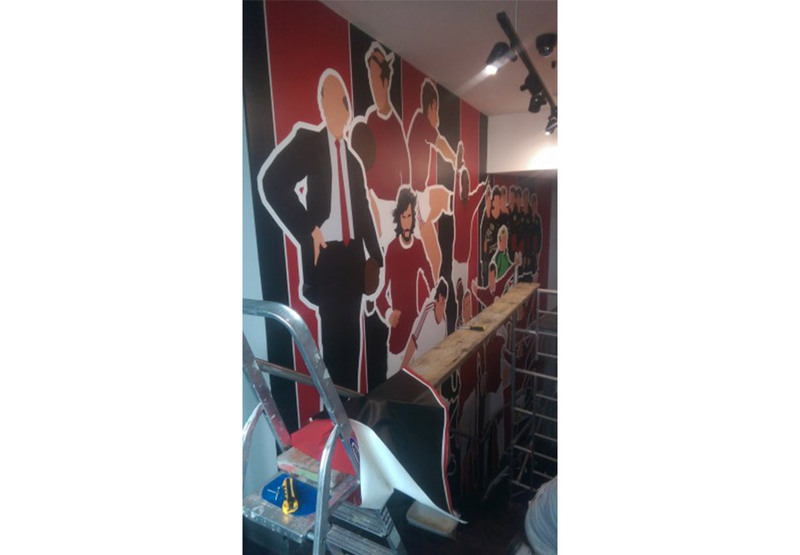 If you love football, come and see our completed work at Hotel Football.